Pedro Martinez, Curt Schilling... Steven Wright? Boston Red Sox pitcher Steven Wright throws a pitch during Wednesday night's game against the Atlanta Braves. 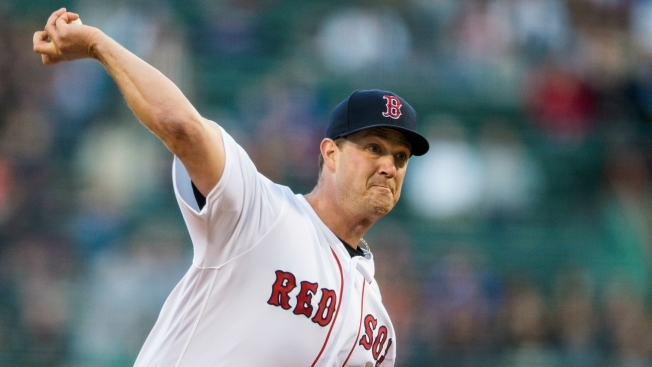 Boston Red Sox knuckleballer Steven Wright is entering select company due to his stellar start to the 2016 season. Wright allowed 2 runs (1 earned) in 7 innings to help the Sox beat the Atlanta Braves 9-4 on Wednesday night. He has now pitched at least 6 innings and allowed 2 runs or fewer in each of his four starts this season. According to the team, he is now one of just four Red Sox pitchers in the past 20 years to begin a season with as many as four such starts. The others were Pedro Martinez in 1998, Curt Schilling in 2006 and Clay Buchholz in 2013. Dating back to last season, Wright has pitched at least 5 innings and allowed 2 runs or fewer in each of his last seven starts, the longest active streak in the majors. During that span, he is 4-2 with a 1.75 ERA and a .199 opponent average.